Home / Business / IoT is hot! And What’s cold about it? IoT is hot! And What’s cold about it? 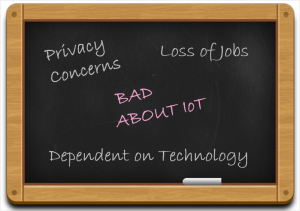 But as it is said ‘with all good comes the bad’ same goes with IoT too. 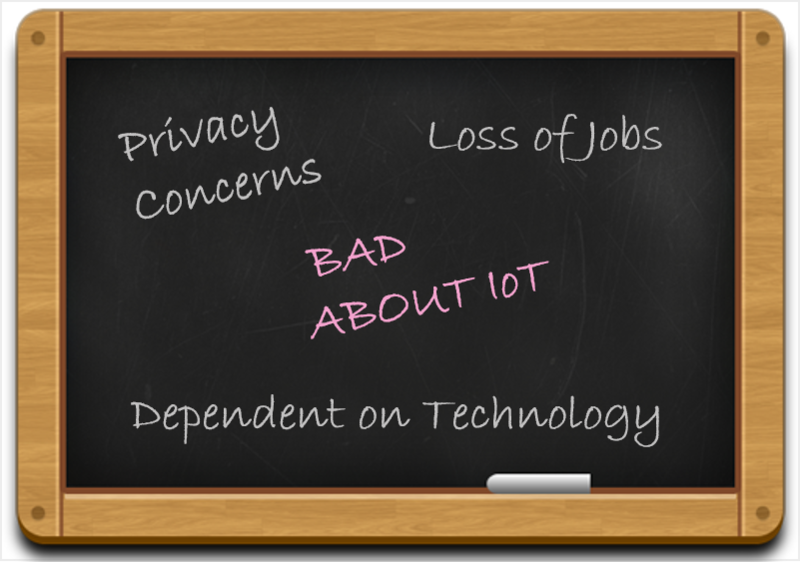 Though there are various advantages of IoT there are many concerns that accompany IoT like rupture of privacy, over-reliance on technology, loss of jobs, complexity and lot more. As our lives become more connected to the Internet, privacy and security concerns rise as well. Of course, there is security shot taken to protect information, but there is always the possibility that hackers break into the system and ravage the data. For example, a group of individuals hacked into federal sites and released evidential information to the public. Meanwhile, the government was supposed to have the highest level of security, then also their system was easily breached. Therefore, as all the household appliances, industrial machinery, consumers, public services like healthcare, education, transport, and many other devices all are connected to the Internet, tons of information is available on it. This information is likely to be attacked by hackers. It would be very harmful if private and confidential information is accessed by unauthorized intruders. A generation of “auto-correct” youngsters are struggling to spell properly after relying so much on technology to check their work. Technology has become a huge part of everyday society’s life. Adults are addicted to technology for every minute thing. Now it’s time that we have to decide how much of our daily lives are we willing to automate and be controlled by technology. We’re in the center of a jobs crisis, and speedy advances in Artificial Intelligence and other technologies may be one con. The unskilled workers and helpers are ended up losing their job due to advancement in technology. With daily activities getting automated, naturally, there are fewer requirements of human resources, workers, and less educated staff. This scenario created Unemployment issues in the society. The IoT is a diversified and compound network. Any defect or a bug in the software and hardware will have serious consecution. Even power failure can cause a lot of disturbances. As devices from different producers are interconnected, the issue of compatibility in tagging and recording crops up. The assembly complications rise due to the fact that components have to be corral from a variety of different sources. Thus, it is said rightly ‘There is always two sides of a same coin’, whatever may be the arriving technology and its outstanding features, there is always a dark side to it, which better be searched and kept in mind while making use of the technology. It is not that we should not move with new technology, but it is equally crucial to study and analyze the darker sides of it and be prepared for the outcome.